Nursing is a demanding but rewarding profession. It is as much as calling as a career, which is the reason many pursue this pathway in spite of the challenges to entry. Nurses positively affect patients’ lives, so much they have been consistently rated as the most respected profession according to Gallup research polls. The role of nurses in the recovery of health and well being is but one of many reasons to become a nurse. Job security, competitive salaries, flexibility, and opportunities to advance your career are other reasons to stay the course and become a nurse. Through the Associate Degree in Nursing (ADN) program, you can complete the educational preparation for licensure in as little as 24 months. This option will let you prepare for licensure more quickly and costs a lot less than it would take to pursue the BSN. The degree requires about 70 credit hours compared to the 120 credit hours for the BSN. The fact that the program is available at community colleges makes it more affordable and offers the best return on investment in terms of preparation for a career that offers personal satisfaction and financial rewards. While the ADN is the minimum preparation for licensure as a registered nurse, you must keep in mind that the changing landscape of nursing calls for the advanced knowledge and skills delivered in the BSN program. The job outlook for registered nurses is positive. According to the Bureau of Labor Statistics, employment of registered nurses will grow 15 percent from 2016 to 2026, which is much faster than the average for all occupations. Nursing will keep you active both in mind and body. You’ll spend much time on your feet attending to patients and collaborating with the health care team to restore health. As you demonstrate compassion and put your all into the work to improve outcomes and the lives of patients, you’ll derive satisfaction from leaving an indelible mark on patients’ life on a daily basis. Learning never stops as a nurse. Each day you’ll learn something new as you complete your training on the job and gain valuable patient care experience. Moreover, if you go back to school to earn the BSN, you’ll have further options to continue your studies to prepare for advanced practice or nurse educator positions. Nursing offers abundant areas in which to specialize, so if you don’t find the right fit in one area, you can easily move to another. Nursing offers flexible shifts if you don’t want the standard 9 to 5. If you prefer traditional work hours, you can work in a physician’s office, school, or clinic to get the hours you want. Bedside nurses practicing with an ADN degree earn competitive salaries and can increase their wages by going back to school to obtain an advanced degree. The Associate Degree in Nursing program prepares adults for entry-level practice as a Registered Nurse. Graduates will be eligible to sit for the National Council Licensure Examination for Registered Nurses. The license to practice as a Registered Nurse in the District of Columbia is granted by the DC Board of Nursing. Students will complete the prerequisite and general education classes before the core nursing course work. The curriculum will cover approximately 22 GE credits and 47 core nursing credits. Advanced placement may be available for Licensed Practical Nurses. Core courses include pharmacology, pathophysiology, health assessment, fundamental skills, psychiatric nursing, medical surgical nursing, maternity nursing, pediatric nursing and concepts of leadership. Students will engage in didactic, lab simulations, and clinical experiences at a partner facility to prepare for their role as a registered nurse. The goal of the program is to prepare adults to become nurses capable of improving health and wellness for the individual, family, and community through the application of evidence-based skills and knowledge in practice. The development of critical thinking, clinical judgment, collaboration, and leadership skills is a primary emphasis of the program. 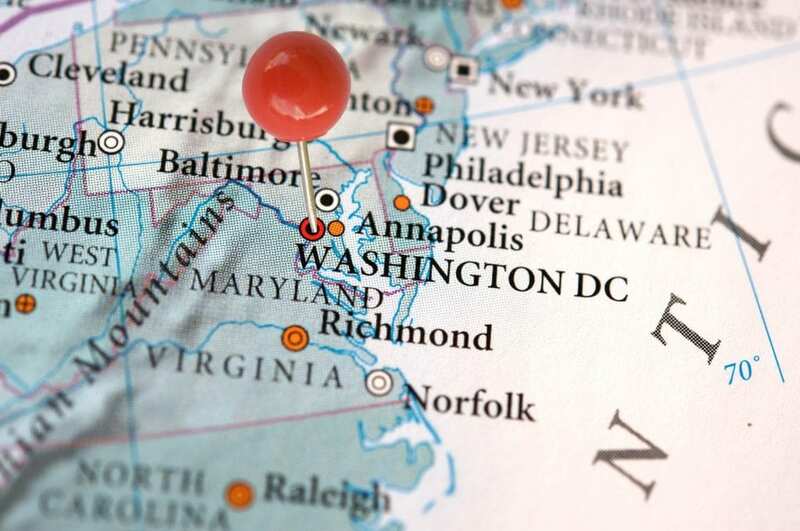 Graduates will help meet the demand for professional nurses in the DC area as they take advantage of the increasing opportunities for available in a variety of health care facilities. Jobs are available at hospitals, clinics, pharmaceutical companies, clinics, government organizations, and schools. ADN programs employ selective admissions as they receive more applications than there is space available to admit. Some programs maintain waiting lists, but this is increasingly uncommon. You can improve your chances of acceptance to the program if you have health care experience – whether paid or voluntary – and complete the prerequisite courses. High scores on the admission assessment and submission of all the required documents with a completed application and fee will also give you a competitive advantage in the admission process. A health exam, background screening, up-to-date immunizations, TB clearance, and CPR certification may be required for admission. Since the ADN degree is offered at community colleges and vocational schools in DC, the cost of completion will be much less than the pre-licensure BSN degree offered at universities. You can further reduce the cost by attending state institutions and applying for scholarships and financial aid where available. The average cost of tuition in DC is $1,726 per semester for residents enrolled in an associate degree program. Nursing students must also budget for expenses such as nursing supplies, uniform, liability insurance, transport to the clinical site, textbooks, and other incidentals. 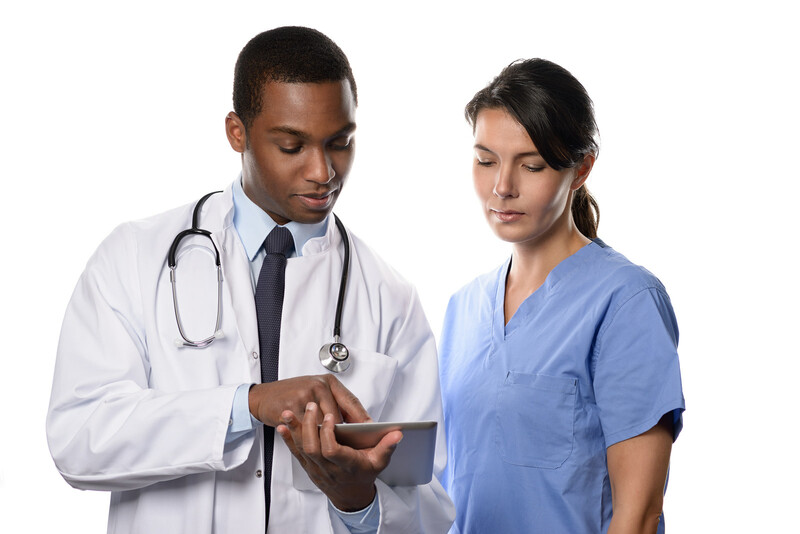 A license issued by the DC Board of Nursing is mandatory for practice as a registered nurse. All candidates for licensure must complete live scan fingerprinting for a criminal background check, which is required for licensure. Candidates must have completed a pre-licensure program, ADN or BSN, and pass the NCLEX for Registered Nurses to be eligible for licensure. The processing time of your request will depend on the completeness of your application. Follow the instructions on the application packet and complete all sections. Sign the application in the designated areas and pay the fee in its entirety. Applications submitted without the required signatures and missing or incorrect fees will be returned. The DC Board of Nursing will review your application and issue a license to practice in the state once you meet the licensure requirements. Request official transcript to be sent from the school of nursing directly to the Board of Nursing. The Board requests that the transcript be submitted with the application in a sealed envelope. The transcript must indicate the date the degree was conferred or graduation date. E-transcripts will also be accepted. If the transcript is not provided, you may submit a letter of recommendation from the Nurse Administrator of the nursing program. Provide a complete explanation on a separate sheet of paper for any “yes” responses to the screening questions. False statements will be cause for disciplinary actions. Sign the application to indicate that all the information provided is correct to the best of your knowledge. Enclose check or money in the amount of $187 and made payable to DC Treasurer. The fee is non-refundable. You can check the status of your application online on the Board’s website. Provide your social security number and last name to register then set up a user name and password. After logging in, you can View Checklist at any time to see what action has been taken on your application. If you’re eligible, you may request special accommodation for the NCLEX. Submit the request when you submit the licensure application to the Board. It must be accompanied by an appropriate document to validate your need for special accommodation. A letter from a health professional must confirm your disability and provide information on your need for the accommodation requested. Also, you must submit a letter from the nursing education program describing any modifications granted by the program. Request a Credential Evaluation Report from the CGFNS. Provide licensure information if you were licensed as a registered nurse in your home country. The Board will issue a license if you pass the exam. If you’re licensed as a registered nurse in another US state or territory, you may apply for a license by endorsement to practice in DC. Request verification of your original nursing license online using NURSYS if your licensing state participates. If your current licensure Board does not use NURSYS, request that the Board confirm your licensure information by sending an email to [email protected]. Registered nursing licenses expire on June 30 of even-numbered years. The initial license will be valid for the rest of the renewal period only and must be renewed at the appointed renewal time. No prorate is available for initial license. The Board of Nursing will mail a renewal notice at least three months before the license expiration. The licensed will be renewed when you submit a completed renewal application and fee. The regulation requires that you report all changes to your business or residence address to the Board within 30 days of making the change. Failure to notify the Board is punishable with a fine of $100 for the first offense and will cost more for subsequent offenses. You jeopardize your ability to receive valuable communications from the Board when you fail to update your address when it changes. Teaching: documentation indicating that you developed or taught a continuing education course or educational offering at an institution approved by the Board or another accrediting agency. Author or Editor: evidence of authorship or editor or a book, chapter, or periodical. There are numerous reports highlighting the shortage of nurses in the United States. Enrolment in registered nursing programs is up, but still, there are insufficient new nurses to replace and baby boomer nurses who are retiring in groves yearly. The aging population and the prevalence of chronic illnesses also contribute if the existing deficit of nurses in many states. According to the Bureau of Labor Statistics, there will be 438,300 new jobs for RNs by 2026. The projected job outlook of 15 percent places the profession as one of the fastest growing in the country. However, the limited capacity of nursing programs to admit and train nurses to replace retiring nurses and fill new positions further deepens the crisis. The aging population will need more healthcare services as approximately 80 percent will have at least one chronic disease, and 68 percent will have at least two says the National Council on Aging. These senior members of society will place the greatest demands on the health care system. The need for nurses to care for nurses means new nurse graduates will have an excellent chance of employment after licensure. 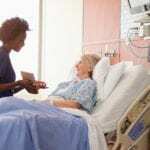 Keep in mind that some facilities, especially Magnet hospitals, may be unwilling to the hire associate degree nurses due to increasing pressure of the educational standards for nurses. Also, the experience gap between new graduates and retiring experienced nurses can disqualify graduates from filling some positions. ADN prepared nurses can fill the need for bedside nurses and help raise the quality of care that patients receive. The degree is suitable for entry into the profession but must be viewed as a stepping stone to the bachelor’s degree in nursing, which is essential preparation or nurse manager positions. It is preferred degree among health care employers as several studies indicate that the quality of care and patient outcomes increase when the majority of the nursing team hold a BSN degree or higher. In 2010, the Institute of Medicine recommended that 80 percent of the nursing workforce hold a BSN degree or higher by 2020. In DC, registered nurses earn an annual mean wage of $90,110 according to the Bureau of Labor Statistics.